I’m caught in the middle of a major transitional period of my life just as is every other college student. I started school as an Architecture student and varsity athlete at the University of Kentucky in 2010. It wasn’t the right fit for me and I transferred to the University of Cincinnati for the spring semester of 2012. 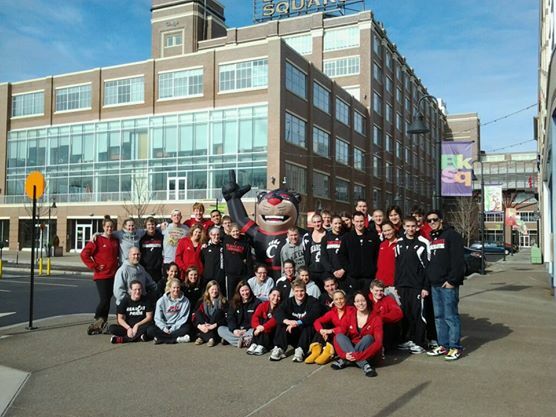 I began studying Real Estate and swam for Cincinnati’s varsity team. The team gave me the support and camaraderie that I’d lacked at UK and things were going well. Then during the Fall of my Junior year, I had my second shoulder dislocation and effectively finished off the tendons in both my shoulders. My college career and my twelve-year run as a swimmer was over. If everything had gone according to plan then I would have been looking at Olympic trials that year – I was close too. But I’ve learned things, for better or worse, usually don’t go according to plan. Again I was in a slump as I had been at UK. However this time it wasn’t for a lack of belonging. I’d swam for twelve years and now without the constant forced discipline I really didn’t know what to do with myself. I was starting to go crazy with stagnation, purposelessness, and lack of direction. I’d picked up backpacking and hiking to stay in shape and was working a many jobs as I could but the reality was idle stagnation. I’m not a religious person but you know that saying about the devil and idle hands. Anyways, I never really wanted to study Real Estate but it was something I could finish and graduate on time. That being said, I hadn’t been going to class for weeks and I was hanging out in my room all day like a hermit because I didn’t see the point. Why would I go learn about something I can’t be passionate about? It was pretty clear by the end of the first semester senior year that I wouldn’t be graduating on time no matter what I did. Not by a long shot. That semester I’d also decided to take a ceramics class for Non-DAAP students just “for shits and giggles”. I’d always considered myself creative but I’d also had a hard time taking that part of myself seriously. I’d taken AP photo in high school and I didn’t really see Architecture as the same kind of creative as Art. Same ballpark but different team. But I was graced with a great mentor that same fall. Rachel was a graduate student working for her Masters in Fine Arts with a basis in ceramics and sculpture. She taught the class and after a few weeks something clicked and I approached Rachel asking her to help me start the process of transferring into DAAP. If Rachel hadn’t taken me under her wing, I wouldn’t be where I am today and for that I’m eternally grateful. The following spring and the final semester of what should have been my senior year (2014), I started taking courses towards my Fine Arts degree. I’d figured out what I wanted to do and how to get there. But I wasn’t satisfied. The marginal job security a college degree (MIGHT) bring you doesn’t exactly spell out fulfillment. I’m happy being an artist and hopefully this venture merges with my dream of designing earthships (just do a Google Web and Image search for now). But many of us dream and talk in idealistic fantasy growing up that we want to travel and see the world before we’re too old, too attached to our towns and jobs, too settled in with family, too… you get the idea. And don’t get me wrong; a more traditional life is perfectly fine… BUT DAMMIT THAT’S NOT FOR ME. My successful swimming career had given me a very unique experience to have the smallest glimpse of the states. To this point, I’ve traveled twelve states and have never been out of the country. This isn’t much but I’m told it’s more than most and it’s enough to drive the desire to see the world. I want to see more. I want to backpack the Appalachian Trail and kayak Big Bend National Park. I want to live in the Rockies and travel Yellowstone! I want to experience things like Burning Man and go to music festivals all over the country. Maybe I’ll go really crazy and drive across Canada or Mexico! I demand a life out of myself that is beyond the beaten path. (Insert corny inspirational quote). For these reasons during the summer of 2014, I decided to buy a school bus to convert to an RV that I could live in full time while traveling the country. This is the account of that journey. Next: Next post: So… Really, why did I buy a bus?